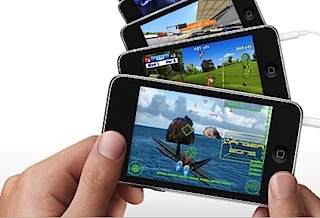 In the past I wrote a piece about the iPhone and iPod touch apps I love the most, well this time around I will be writing about the games I really like and enjoy. All links will take you to iTunes, some games offer free light versions to try before you buy. Spider: The Secret Of Bryce Manor (Light Version) This is also a favorite game. Now as always it is your time to share your favorite games in the comments. you have to get them all, they are awesome! Angry Birds! It looks like a kids’ game, but you’ll soon be busting your guts over it tying to get 3 stars in every challenge. There are about 20 challenges per level, and 5 levels, with more coming out. Seems easy at first, and also seems that you can just shoot the birds randomly, but you’ll soon get very skillful at shooting and then you’ll realise you have to really think to work out how to get the high scores. And the good thing is it also appeals to children, AND they can play it. If that engages your brain, then have a look at Gears. Gets harder and harder.